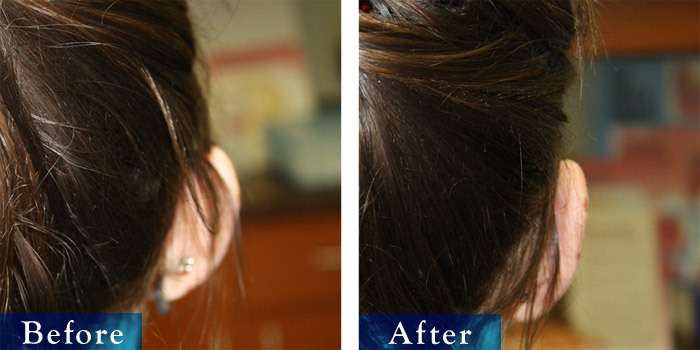 View Edmonton Otoplasty ear surgery before and after pictures. Surgeries completed by Dr. Keohane with more than 20 years of experience & 1000s of surgeries. People with prominent ears can be distressed by the way they look, so for most people, the benefits of this procedure are greater than the disadvantages. If you feel your ears stick out too much, are too large, or you are not happy with their shape, ear pinning, also known as otoplasty, can reshape your ears and make them less prominent. To arrange an initial consultation for ear surgery, call us or complete our simple online inquiry form for Surgical procedures.